I can’t believe that we’ve been in Cuenca for a week already – the days have been flying by! 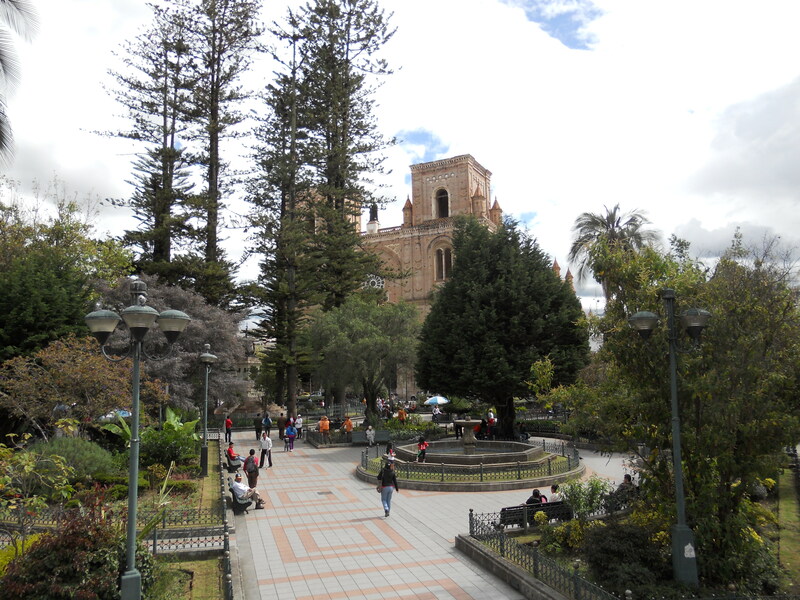 Cuenca is a cool little city (the 3rd largest in Ecuador) with a population around 500,000. 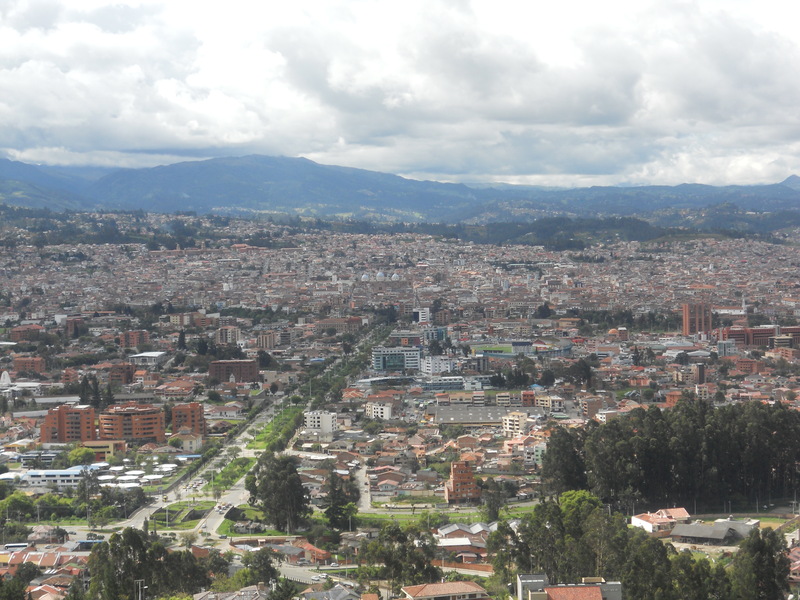 It is in the middle of the Andes mountains so it is awesome just looking around and always seeing mountains in the distance. 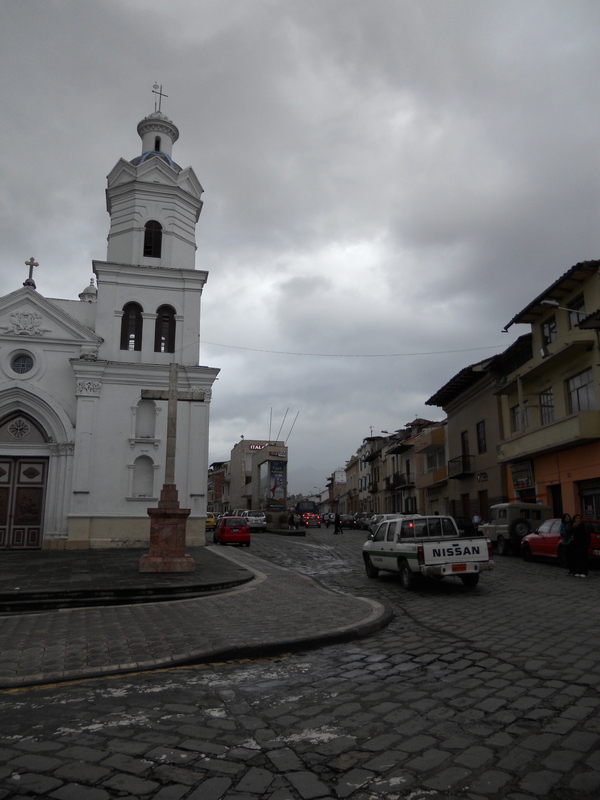 The city center is a UNESCO World Heritage Site and it is full of really cool buildings, cobblestone streets and churches. 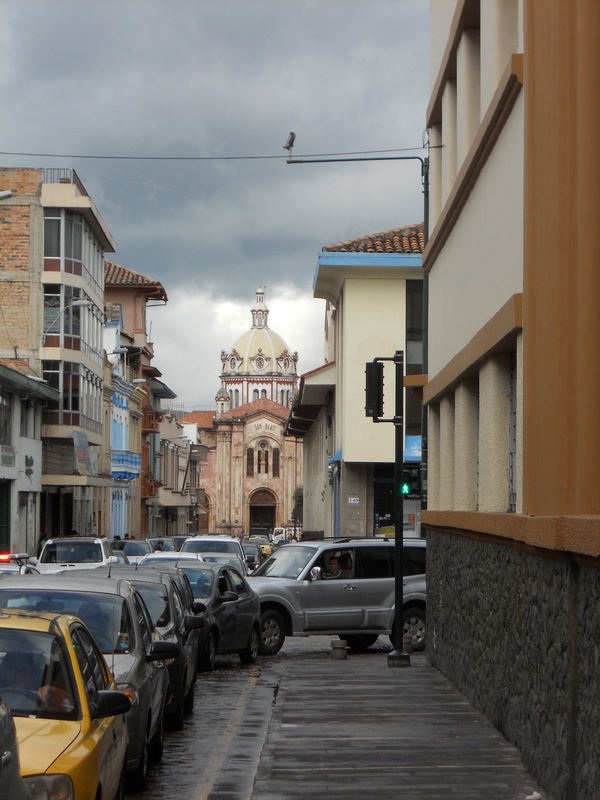 Apparently there are 52 churches in Cuenca so you could visit a different one every Sunday for a year. 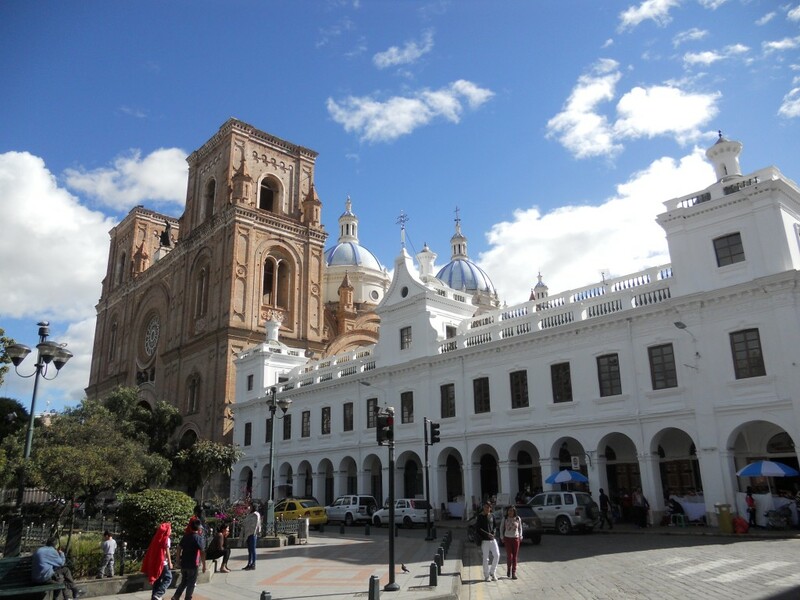 Here are a few, including the largest – the New Cathedral (blue domes). 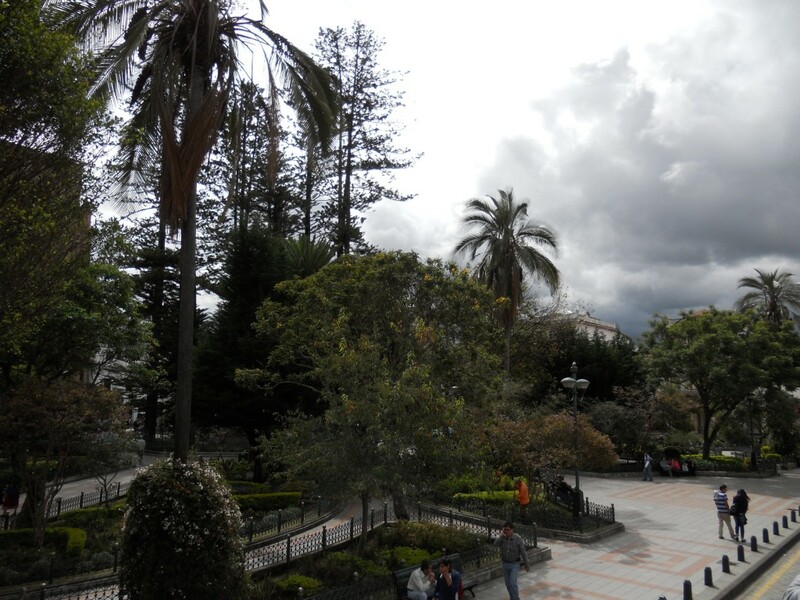 In the center of the historic area is Parque Calderon. 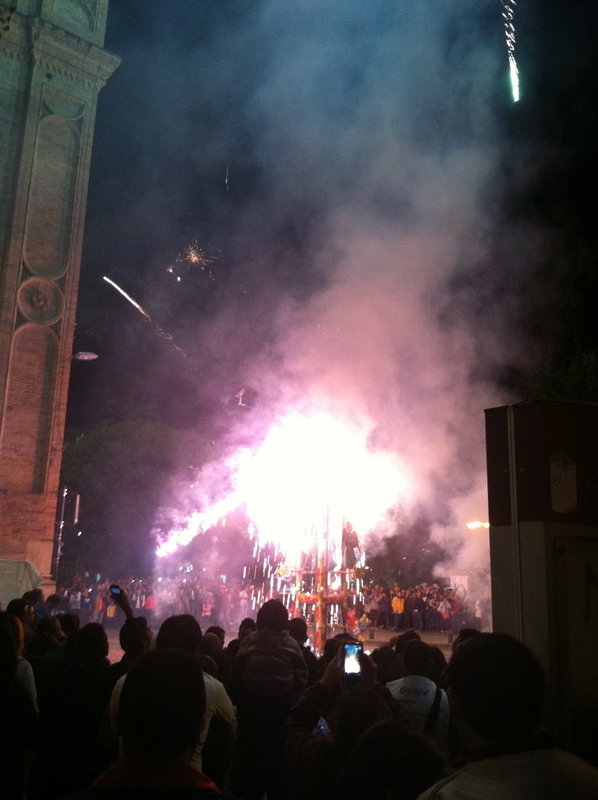 This week in Cuenca was a festival called Corpus Christi. 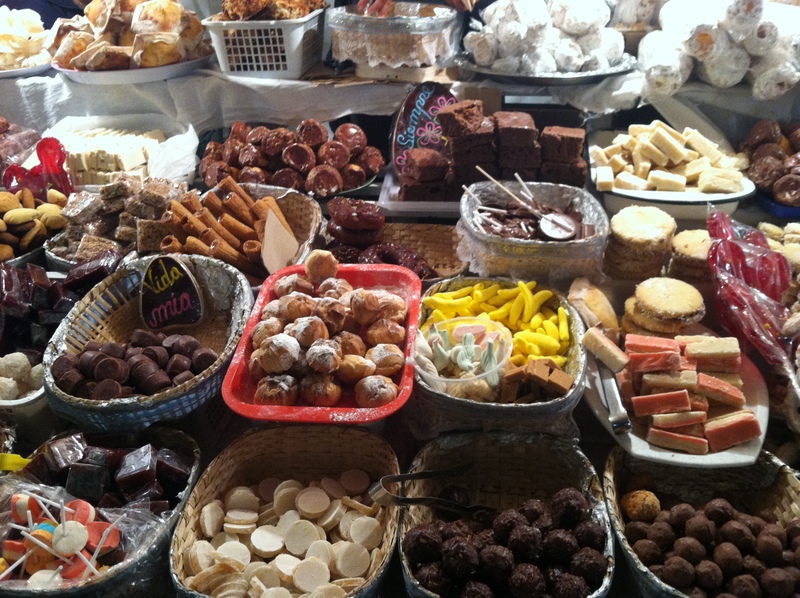 The streets around Parque Calderon were lined with tents filled with dulces (candies, pastries, cookies). Every night in the park, they set off fireworks and would light between 1 and 3 castillos. 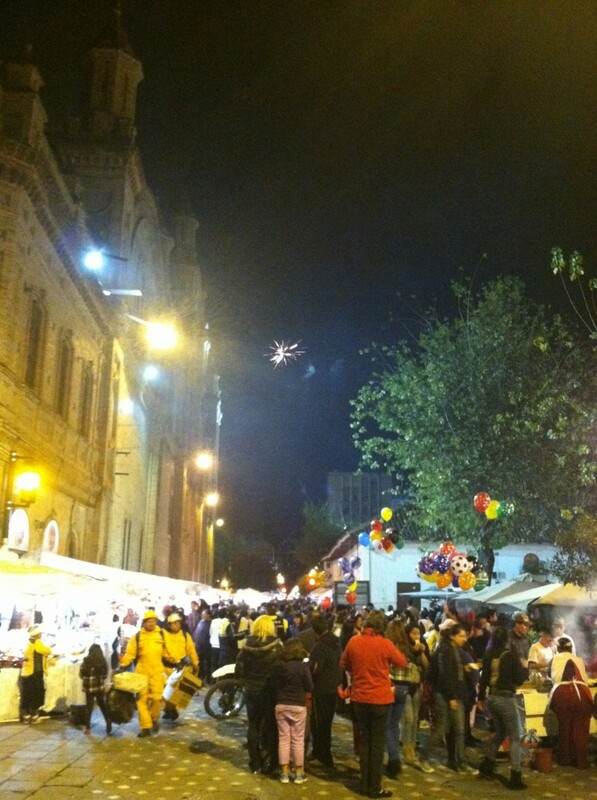 You can see a castillo in the picture below – it is pretty much a little tower covered with fireworks. There are 4 tiers to it (they light one after the other) and for the grand finale, fireworks shoot out of the top. 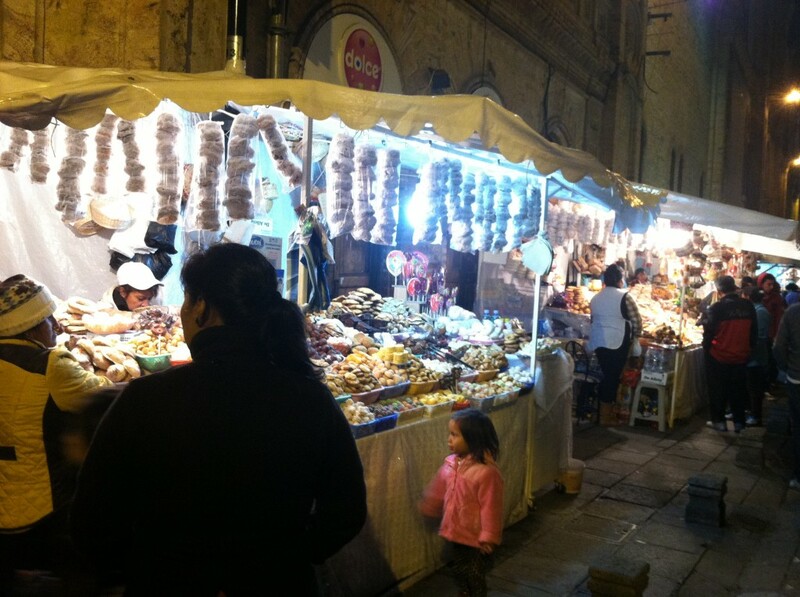 We walked over to the park a couple different nights to see the castillos – and eat some dulces of course. 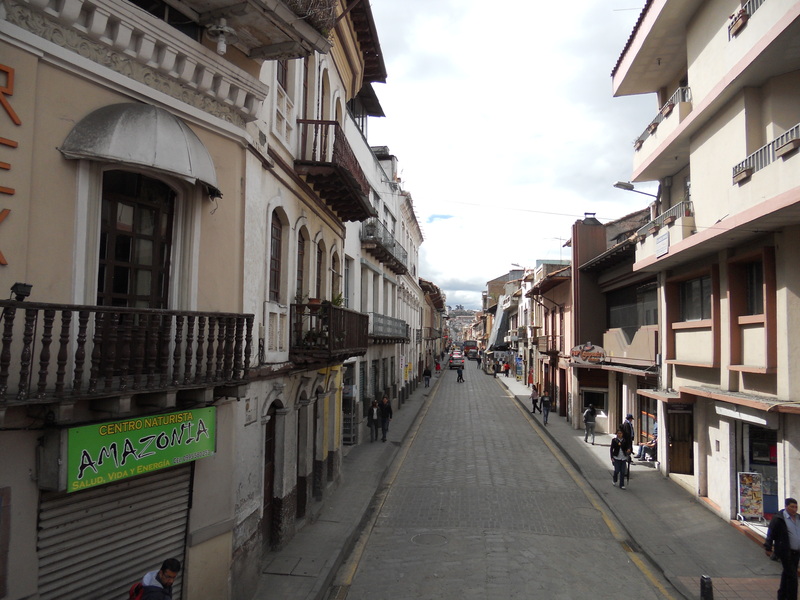 This weekend we’re planning on doing a little more exploring and heading out to the city limits to an area called Banos where there are spas with thermal pools.